Rigged and loaded with bots. Your not actually playing with real people often and don’t count on a big win. I’ve been playing this game for years and I’m just about done. No matter how big you get your chips for the bonuses it won’t pay. Only pays when you won’t win big. Just don’t count on a fair game like others that are better than this. And definitely don’t waste money the deals on chips are absolutely awful and the bet minimums are so high that you can’t even count on playing for long. It’s a joke that 5 10 dollars barely lasts 20 minutes. How many times do you expect me to buy a game over and over? Lol it’s not like I can win it back it’s free money . So stingy. If I’m spending 5 or 10 I should expect to have enough chips to play the week or at the very least the whole day. Even betting the minimum you will be LUCKY to last an hour. What a joke. Loved the game at first! Playing wall of Kahn and game took me off the bonus board without payout twice! I contacted devs and they said I wasn’t taken off the board. They refused to make it right. Shut me off like a water faucet. So they get no more of my money, and I deleted it! Did they pay the bills? Won’t load! New review: You gotta pay the bills and keep the programmers happy! Something is very wrong. The game won’t load. It says something about losing the internet connection, then fruitlessly keeps trying to load. Funny thing is, ALL my other apps load just fine! I’ve tried multiple times, but it just won’t load. The last time that happened, Spin it Rich died & was never able to load again. It’s not even in the App Store anymore. I hope that isn’t the case here. 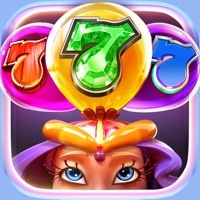 Pop slots is really a fun app-one of the best slot apps, especially after they got rid of the shooter avatar. Old review: Insensitive to Las Vegas shooting. SHAMEFUL! I used to enjoy this game. That just changed. 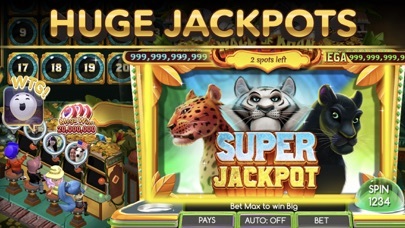 I couldn't believe my eyes when I was playing the Jackpot 7s at the Mandalay Bay. 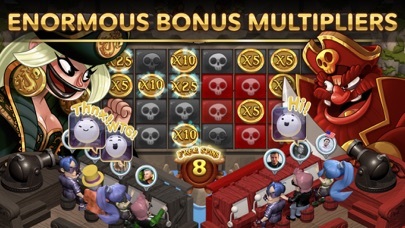 When the free spins came up, the "lucky avatar" that boosts the awards was a guy shooting a machine gun into the air to boost the wins! Really!?! This was only 2 days after the shooting from the REAL Mandalay Bay hotel and casino that killed nearly 60 people!!! How unbelievably insensitive can you get?!? That avatar is tasteless to begin with. But right after such a horrific crime it's indescribably insensitive. This app now deserves negative stars. But it will get one star, because Apple doesn't allow lower numbers for the ratings. I played this game daily. I had accumulated well over 500,000,00 points and was up over level 300. They updated and I lost everything I’d built up. When contacting the administrator for help, they gave me a bunch of crap to do and nothing worked. So I got Nothing in return for playing daily for months. Don’t waste your time on this app. 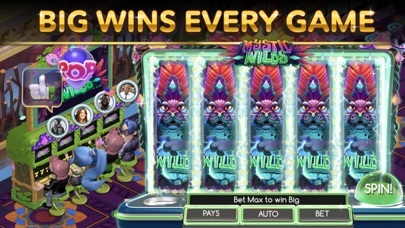 Pay to win game that does not actually let you win. No matter your bet you only get and extremely small portion of what you bet. Anyone that has been to a casino or plays slot games will spot this pretty easily. 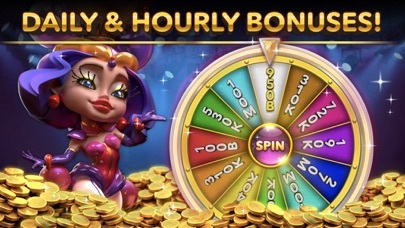 Normally you win enough to have a free spin but with these slots you bet 50000 and consistently get 2000 or something similar. Even a max bet does the same. 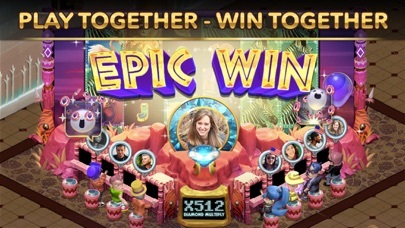 The big, huge and epic wins are few and far between and rarely are more than 3x. Enjoy if you want I am deleting.